Newhall School, Class of 1884 (grades 1-8). Judging from this list of teachers, the man in the window would be John William Myers. 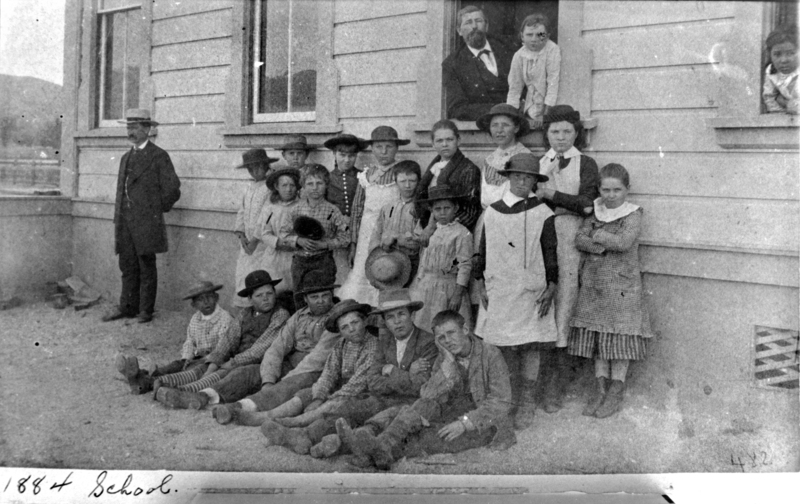 Newhall School had only one teacher until the 1892-93 school year when it added a second classroom (and a second teacher). Read: History of Newhall School. AP0124: 19200 dpi jpeg from copy print. Same underlying image as AP0521.